SURPRISING as it may seem, a simple hospital room window with a serene view of a little garden or a water feature could help patients recover better, reduce their length of stay in the hospital, cut down health care costs and improve work culture. Biophilia, or humans’ inherent tendency to like beautiful natural features such as ocean views and greenery, may have a deeper impact on human health than meets the eye. Edward O Wilson introduced and popularised the hypothesis in his book, Biophilia (1984). He defined biophilia as “the urge to affiliate with other forms of life”. Patients recovering from gall bladder surgery were found to have positive outcomes, including that of reduction in requirement for analgesics, if they had a better view from their hospital rooms. Beautiful views from patient rooms also reduced overall health care costs. While there could be many theories explaining the physiological or psychological basis for the positive health benefits conferred by natural views for patients, it could be safely inferred that there may well be an improvement in staff health and wellbeing also, which has its own knock-on effect to patients. Interestingly, even indoor plants seem to improve pain tolerance. An experimental study found that more subjects were willing to keep a hand submerged in ice water for 5 minutes if they were in a room with plants present than if they were in a room without plants. It is pleasing to see hospitals around the world have now taken this concept seriously. A 500-bed hospital in Singapore won an award for its biophilic design initiative in December last year. The Biophilic Quality Index (BQI) is a new tool being developed to assess the restorative property of a biophilic environment, looking beyond just the aesthetic value. There are now artificially intelligent biological “walls” comprising of living plants specifically designed for health care. For the evidence-based readers out there, it seems to be true that the positive effect conferred depends on the individual’s level of “connectedness” to nature and the “quality” of the environment shown. In other words, there could be subjective variation in the impact that biophilic environments could effect. And this effect could also vary in the same individual over time. It is also true that many studies focusing on these areas are not robust enough or conducted for long enough to be considered concrete evidence. But, while waiting for such robust studies, we could open our hospital windows to the magnificent views that Australia is blessed with – or design future health care spaces with biophilia in mind. I am sure you will concur with me that there is already evidence out there. 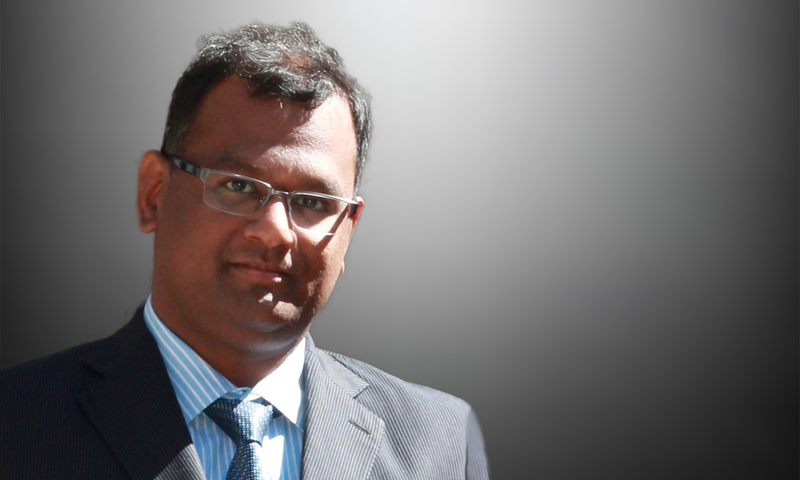 Adjunct Associate Professor Balaji Bikshandi is the clinical lead of ICU at North West Regional Hospital, Burnie, Tasmania; Adjunct Associate Professor at the University of Canberra; and Senior Clinical Lecturer at the University of Tasmania.